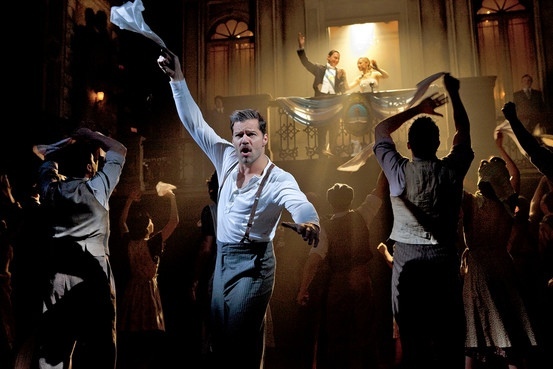 Andrew Lloyd Webber’s seminal classic Evita returns to Broadway almost 33 years after the opening of the legendary original production. Love or loathe Lloyd Webber, there is no arguing that this score is one of the greatest, with act two in particular boasting as incredible number of memorable tunes. 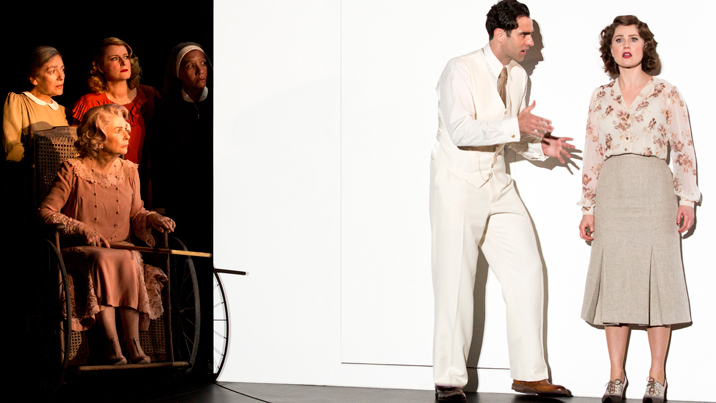 This 2006 London staging has taken its time to cross the Atlantic, finally finding the right male leads to partner Argentinian Elena Roger as Eva. 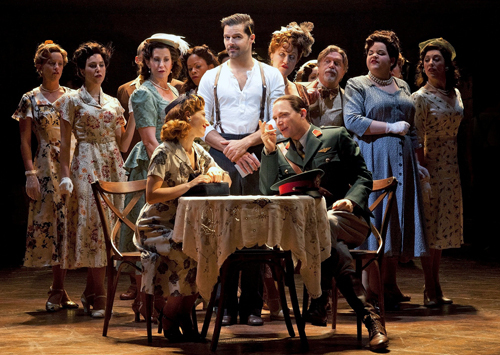 Broadway star Michael Cerveris plays Juan Peron and pop icon Ricky Martin plays Che, a role returned to the Everyman status of the original concept rather than being the revolutionary Che Guevara. A mesmerizing actress, Roger has an intense, distinct presence that rivets the production together. Her fragile, doll-like stature complements the role perfectly. Although Roger has difficulty with the frequent high notes of the score, her singing is highly expressive and she achieves the impressive feat of making the incredibly well known “Don’t Cry for Me Argentina” sound fresh. Roger is also revealed as an incredible dancer, who would rival Sutton Foster in the leading-ladies-who-also-dance stakes. 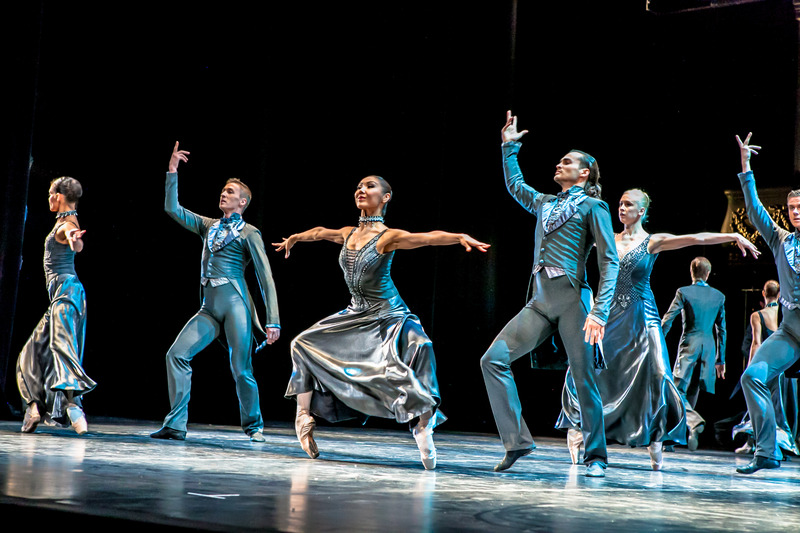 Her dancing in “Buenos Aires” and “Waltz for Eva and Che” are nothing short of incredible. Cerveris is reliably excellent with his acting and singing, elevating the role of Peron somewhat with the quality of his work here. The most deceptive element of Evita is its through-sung score. As a positive, this provides non-stop musical enjoyment for the audience but on the other hand it means there are no book scenes to provide exposition for the complex political and sexual exploits of the plot. Multi-award winning English Director Michael Grandage expertly handles the action, unfolding the central story without cramming in a slew of unnecessary political statements. Mention of the ensemble cannot be made without also commenting on their excellent singing. Harmonies are superb and diction, by the whole company in fact, is crystal clear. Christopher Oram, another multi-award winner has designed sets that are the most spectacular in recent memory, of a quality usually only seen in films. The progression from provincial Junin to the grandeur of Buenos Aires is captured brilliantly. A particularly clever touch is the playing of key scenes in the centre of the grand sets without adding extraneous items, such as beds, desks, chairs etc, to pinpoint locations. 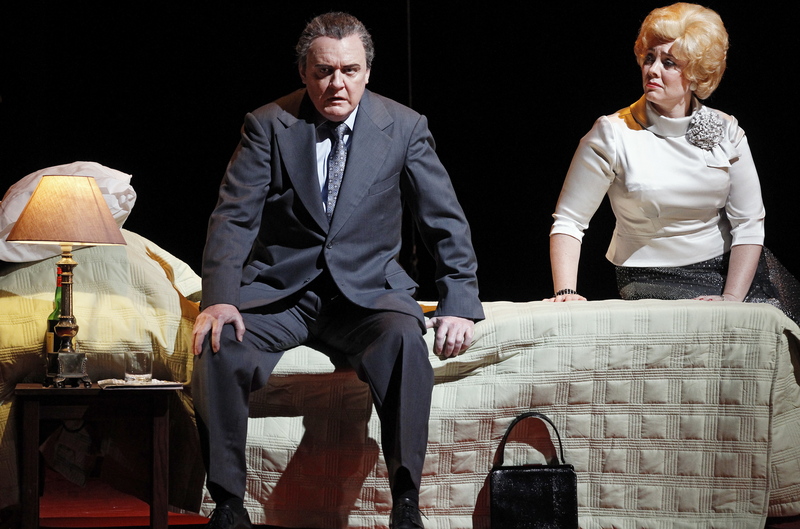 Oram’s costumes are also superbly realised, with Eva’s journey told as clearly in costume terms as the rise of the boys in Jersey Boys. Special mention to Richard Mawbey, whose wigs for Eva are also a crucial part of her journey. 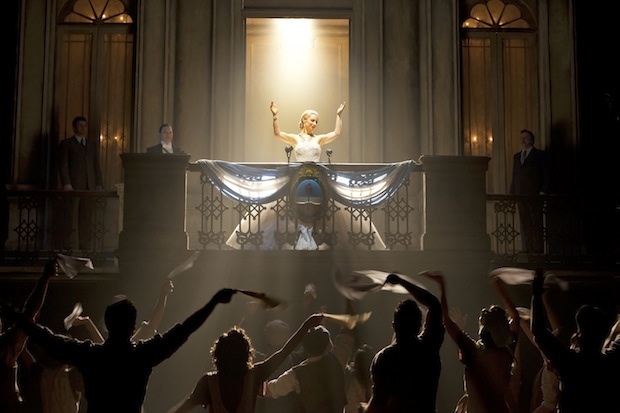 The climax of Eva’s rise to power comes at the beginning of act two with her appearance on the balcony of the Casa Rosada. With a magic only possible in music theatre, music, set, costume, wig and acting all come together here for an entrance so spine-tingling that if you are not affected you should be home playing on your X-Box. 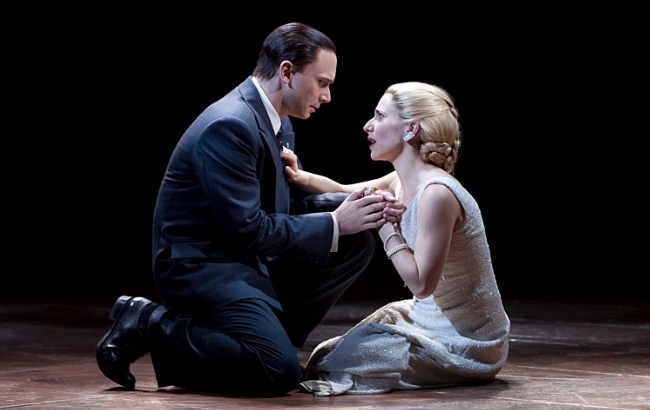 Evita has an open-ended run at Broadway’s Marquis Theater. Reviewed 8pm Friday 6 April 2012,Marquis Theater, NY. Thanks for taking time from your busy social whirl to write a chatty comment Felicity. What a globetrotter you are having seen Evita on Broadway before Man in Chair. And I must say it sounds like you know the show so well that it’s almost as if you’ve been in it at some stage or other. I can’t go back on my comments about Elena Rogers’s high notes not being strong but I will elaborate on Che in that I only he needed a sinister edge. I think it adds menace for him to take some enjoyment in pointing the difficulties and double standards Eva faces. Ricky was a little pleasant for me but it sounds like you saw more in his performance so I’ll have another look the next time I see it, and the time after that as well. Thanks again, and I hope you have settled back to life in Melbourne after your hectic world adventures.